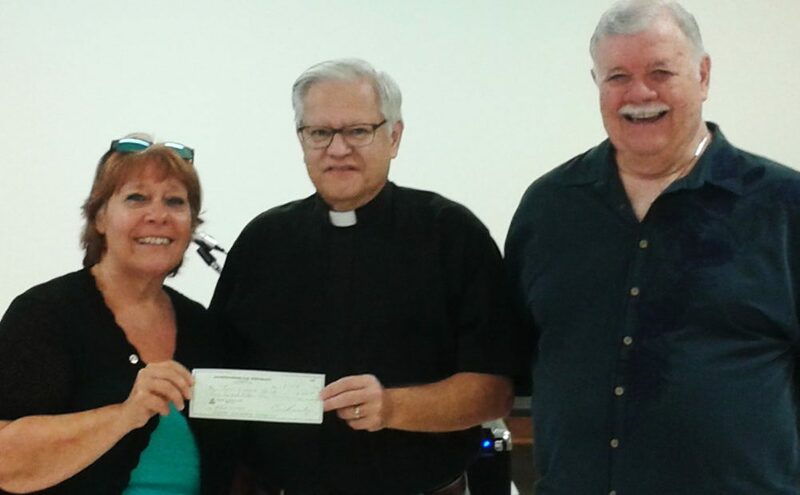 Mary Bentz, President of Galveston Kiwanis, presents Rev. Richard Rhoades and George Black with a $500 matching grant to support the #FeedGalveston project on September 11. 20,000+ meals will be packaged to distribute to food banks in Galveston. Kiwanians and Congregants and other volunteers will package the meals. Volunteers are invited to participate. Call 409-762-8477 for more information.